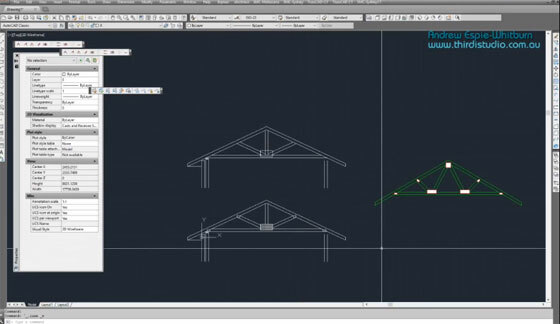 In this autocad tutorial, you will learn how to create the drawing of a roof truss section detail with the use of AutoCAD. You will also learn how section detail can be produced with lines, polylines, and hatches. The tutorial is created with TrussCAD, an exclusive plugin program for AutoCAD. It can be used to sketch timber roof and floor trusses in your AutoCAD drawings together with roof battens and roof tiles rapidly and save significant time. The created lines can be entirely edited in AutoCAD if necessary. Trusses are formed on the basis of the user input and can be edited like standard AutoCAD lines and polylines. All colors of the line work can be modified to fit your office standards. With TrussCAD, it is possible to arrange roof battens on the Roof trusses for both Tiled and Sheet roofs. The roof battens for tiled roofs also produce the roof tiles. It supports full versions of AutoCAD 2000 and higher. To get more details, watch the following video. Autodesk Revit 2018 Architecture Fundamentals – Imperial (1st Edition) is an exclusive reference book for Revit professionals that briefly focuses on the Autodesk Revit functionality to be applied efficiently during the design process. Initially, the book explains the user interface and basic drawing, editing, and viewing tools. Then you will be familiar with design development tools together with how to model walls, doors, windows, floors, ceilings, stairs and more. At last, you will be introduced with the processes to transform the model to the construction documentation phase. The book will facilitate the students to generate complete 3D architectural project models and arrange them in working drawings. Perception of the objective of Building Information Management (BIM) and how it is used with the Autodesk Revit software. • Administering the Autodesk Revit workspace and interface. • Dealing with the fundamental drawing and editing tools. • Generating Levels and Grids as datum components for the model. Making a 3D building model involving walls, curtain walls, windows, and doors. • Inclusion of floors, ceilings, and roofs to the building model. • Generating component-based and custom stairs. • Inclusion of component features like furniture and equipment. • Arrangement of sheets for plotting with text, dimensions, details, tags, and schedules. This is an exclusive autocad tutorial video that teaches you how to add annotative dimension lines in an autocad drawing. 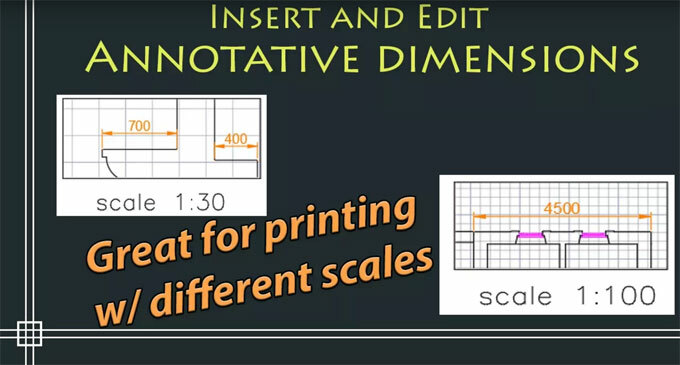 The annotative dimension lines are ideal while going to print a drawing with viewports in various scales. Fundamentally, the sizes to be edited in the dimension style manager, is same as that will be provided in the paper while printing. With dimension style manager, it is possible to generate new styles, arrange the existing style, rectify styles, set overrides on the existing style, and compares styles. A dimension style belongs to a named collection of dimension settings that manages the look of dimensions like arrowhead style, text location, and lateral tolerances. The objective of dimension styles is to indicate the format of dimensions instantly, and to make sure that dimensions comply with industry or project standards. In some versions of Revit, it is possible to include an image to a family instance or type by using the “Image” or “Type Image” parameter. 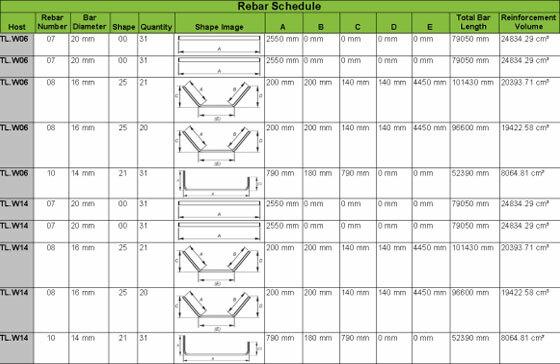 Toward Rebar families specific there exist the “Shape Image” parameter, which allow to generate well formatted rebar bending schedules along with the rebar shape image. Revit provides Rebar Shapes as per the local requirements and codes for various global countries. These Rebar Shapes don’t include these Shape Images so the users get the ability to customize this. For rebar schedule demonstrations throughout demos of “Rebar with Revit”, I edited the default rebar shape families can be edited and the shape code images can be included to the Shape Image parameter by adhering to BS8666 : 2005. This can produce nice formatted bending schedules for a simple reinforced concrete tunnel. In this article the new features of Revit are explained. Also there is some information about Revit that will help to understand their work properly. The features and work of Autodesk and Revit are discussed here. This article also states about the improvements of the new features, it will help the users to create models easily, there are use of curves and straight lines that will give the designs a new look. Here is the following link for observing the diagrams: revitstructureblog.wordpress.com. Autodesk Revit is building information modeling software for architects, structural engineers, MEP engineers, designers and contractors developed by Autodesk. It allows users to design a building and structure and its components in 3D, annotate the model with 2D drafting elements, and access building information from the building model’s database. Revit can be used as a very powerful collaboration tool between different disciplines in the building design sphere. The different disciplines that use Revit approach the program from unique perspectives. The Revit work environment allows users to manipulate whole buildings or assemblies or individual 3D shapes. An experienced user can create realistic and accurate families ranging from furniture to lighting fixtures, as well as import existing models from other programs. In each release of Revit it is seen that a continuous trickle is there in new features and improvements to the Reinforced Concrete Modeling and detailing capabilities. Most of them are already firmly established and now Autodsek moves on to the reinforcement of complex concrete forms and cross platform workflows. It is previously stated Autodesk have some stiff competition and are quickly closing the gaps. There is also an expected delivery of a BIM project which is a complete 3D model and it may longer be appropriate to issue flat 2D drawings and a bending schedule. Some new tools are very useful in Civil Projects as Tunnels, Bridges and roadside structures. • The new features are tested and at first the main function of the reinforcement of complex concrete features are shown. The new functions are very useful and save a lot of time. It need extra control over double curves and twists and likely have to use something like Dynamo to place ‘real’ reinforcement in a logical way. Another refurbished tool is the Rebar graphical constrains. 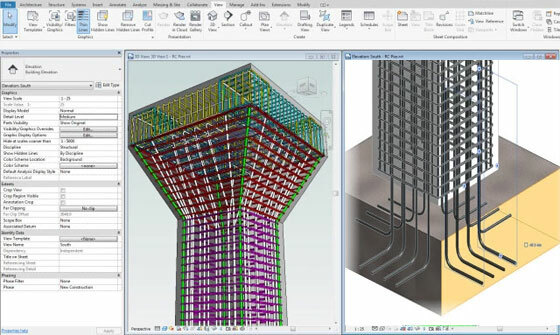 This tool enables reinforcement bar to be constrained in 3D views as well as the traditional 2D views. The user can selected the rebar plane or the end points of the bar and then constrained to a relevant plane on the host element. • The reinforcement bar also has Bar Handles that allows the physical leg lengths to be dynamically edited. It is easy now to directly import a 3D solid from another CAD application and host reinforcement directly into the elements. • The 3D ramp has been modeled in AutoCAD and then directly imported and reinforced within Revit. In conclusion Autodesk continue to strengthen the Revit application and make the legacy 2D detailing a think of past. 100 CAD exercises is a useful e-book. 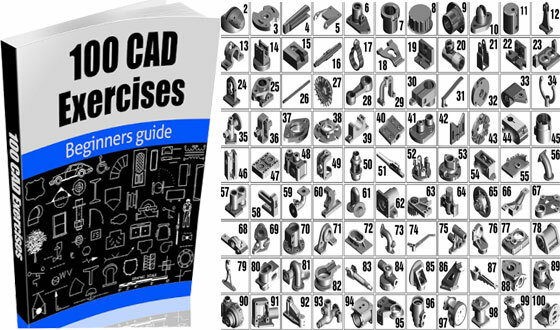 The book is specifically written for beginner’s cad users. The book provides 100 CAD exercises which involve 50 2D exercises and 50 3D exercises. All the exercises are available with the original DWG files. These files can be used to enhance your learning & practicing skills for creating superior designs. Every exercise is supported with the images of the final design and perfect measurements required to produce the design. Different types of CAD software like AutoCAD, SolidWorks, CATIA, DraftSight, and many more can be used to design each exercise. The exercises are based on real-life designs. One can get the ability to design models efficiently and apply them in your future work. The 100 CAD Exercises book is presently utilized in various universities, technical schools, and even high schools all over the United States and the world. The exercises are evaluated by experts in the field of 2D and 3D modeling. If you buy the book, as an extra benefit, you can get the original design files in DWG formats and apply them to other designs or extend them to bigger designs. Enscape, is a 3D real-time rendering plugin for Autodesk Revit and SketchUp that creates remarkable visualizations with one click. 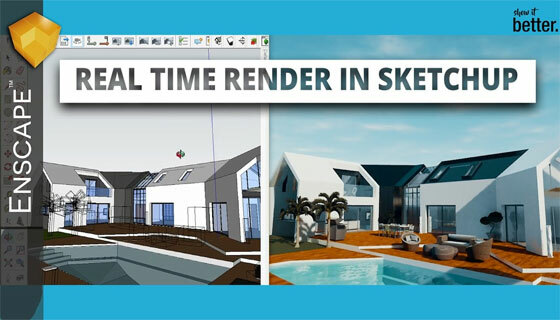 They have recently upgraded its real-time 3D rendering plugin for AutoCad Revit and Trimble SketchUp. The generated walkthrough can be viewed in virtual reality or exported into a video within seconds. It saves architects hours and days while enabling customers to experience their architectural projects from every angle and at different times of day. According to Thomas Schander, CEO of Enscape, it is designed to meet the top demands of today’s architect, delivering an extremely fast, effortless, beautiful end product that is expensive and directly integrated with Revit and SketchUp. It is being used as a standard application in projects worldwide and at leading firms like Foster + Partners, KPF. Its accessibility and low cost make it a must-have tool for every architect’s arsenal. In the May version 2.0 the users will simply install the plugin and can walk-through a fully rendered project or export high quality screenshots within seconds. 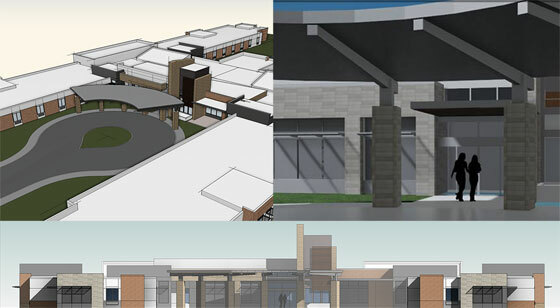 No additional software is required and direct integration with Revit and SketchUp eliminates uploading data to the cloud. Not only Enscape seamlessly integrate into the BIM process with minimal training, but its immediate feedback to design challenges of geometry, material finishes, lighting and acoustics directly from the BIM model is a huge benefit. Enscape is available through subscriptions to provide the most up-to-date version for use. For monthly license it is fixed to $45 (USD) and for yearly it is fixed as $679 (USD). A 14-day free trial is also available.